How much is Cristine Rotenberg Worth? Cristine Rotenberg net worth: Cristine Rotenberg is a Canadian YouTube personality and actress who has a net worth of $4 million. Cristine Rotenberg was born in Richmond Hill, Ontario, Canada in October 1988. 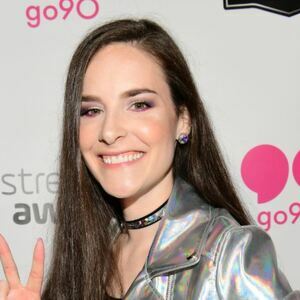 She is also known as Simply Nailogical which is the name of her YouTube channel that she started in 2014 and has more than six million subscribers and two billion total views. Her secondary YouTube Channel Simply Not Logical has about 2.5 million subscribers and more than 140 million total views. Rotenberg starred in commercials as a child actor for brands including Furby and Fib Finder. In 2002 she appeared in the TV movie Charms for the Easy Life. Cristine Rotenberg wrote, directed, and produced the TV series short Simply Nailogical in 2014. She has been described as "the face of nail art in the internet world". Rotenberg earned her master's degree in sociology from Carleton University in 2014.